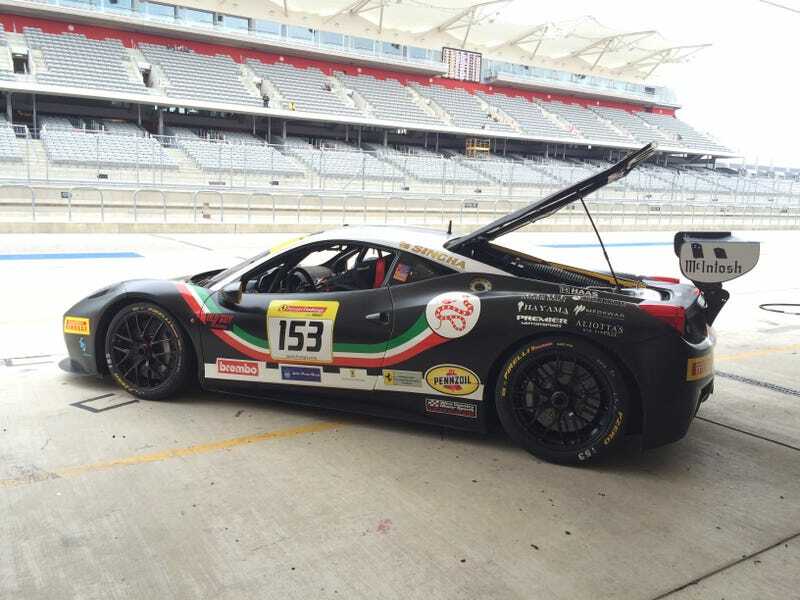 If you like fast cars and Formula One circuits, our own Stef Schrader is at Circuit of the Americas right now hanging out with a Ferrari Challenge race team. The team offered a garage tour, and we’re hear to take you guys along with us with Jalopnik Live! on Facebook. The team is Scuderia Corsa out of California, and you’re sure to see a lot of fast machines. For a lazy Sunday afternoon, it can’t get much better.